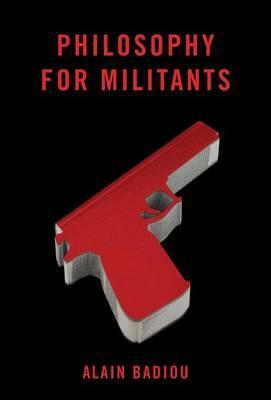 Philosophy for Militants, by Alain Badiou – This short little book is really a collection of three essays by French philosopher Alain Badiou, who was part of the French uprising in 1968. The commentary by Badiou is interesting and engaging, but does require some knowledge of other philosophical icons such as Plato, Hegel, Nietzsche, Heidegger and Satre. Badiou explores the relationship between philosophy and politics and contemporary democratic movements. The author also looks at the iconic image of the soldier/warrior, which is where the idea of militant comes into play in the title of the book. The book ends with sort interview with Badiou talking about the student uprising in Quebec. While some might think the book is too vague on politics, the ideas shared within prompt more questions and greater exploration of the relationship between politics and philosophy. White Supremacy, by Joel Olsen – This zine is one in a series of zines called the Lexicon Series and can be downloaded from AK Press. 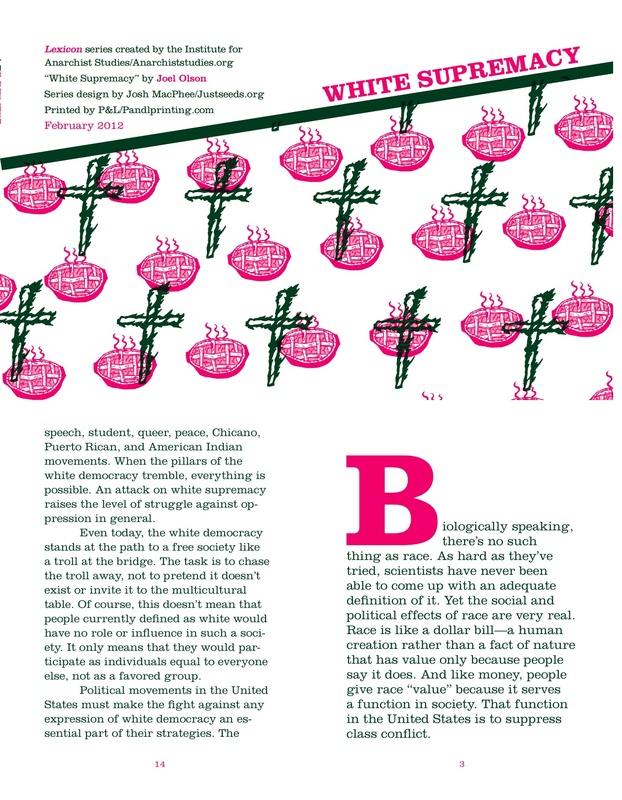 Olsen’s zine rightly reframes what is usually presented as racism to White Supremacy. The author provides important historical background on this theme in order to make the point that the classification of race was a creation of the early colonial power structure in North America, primarily as a means of pitting working people against each other. Olsen also acknowledges that multiculturalism and colorblindness are not adequate solutions racial injustice, since they fail to acknowledge White Supremacy as an integral part of all US institutions. In addition, the author makes the point that the abolitionist movement, which was the first major movement in the US, was really a movement to challenge White Supremacy. This early movement also had tremendous influence on the early labor and women’s movements, which is why the author points out the centrality of having an analysis of White Supremacy in doing radical social justice work. An important contribution for those doing the work on the ground and those wanting to do the work. 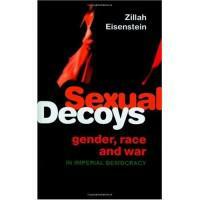 Sexual Decoys: Gender, Race and war in Imperial Democracy, by Zillah Eisenstein – Written during the later half of the George W. Bush administration, this book takes on the military industrial complex through a feminist lens. Like in her previous works such as Global Obscenities, Eisenstein takes on large policy issues from an intersection perspective of race, gender and violence. This analysis isn’t about just any form policy, but the policies of the US government, which Eisenstein identifies as imperialist. The author applies her analysis to the US War on Terror, the use of torture, military occupations and the push to privatize the military. Eisenstein also takes on the function of race, gender and sexual orientation in the US military, with an analysis that would apply equally today in the Obama administration. A well written and passionate exploration of the true nature of US militarism. Highly recommended. ReGeneration: The Politics of Apathy and Activism (DVD) – Ryan Gosling narrates this engrossing film about social activism, the forces that galvanized the Occupy movement, and how a new generation of young people is coming to terms with a rapidly changing world. The film skillfully weaves commentary from some of the country’s leading political and social analysts with personal observations from a collective of young musicians, a tight-knit group of suburban high-school students, and a young conservative family, providing a nuanced look at the myriad challenges facing the next generation of Americans. The result is as personal as it is political, as much a portrait of the contemporary political scene as of a generation of young people finding their way in uncertain times. Features Noam Chomsky, the late Howard Zinn, Adbusters‘ Kalle Lasn, Andrew Bacevich, Amy Goodman, Talib Kweli, Sut Jhally, and music from STS9.